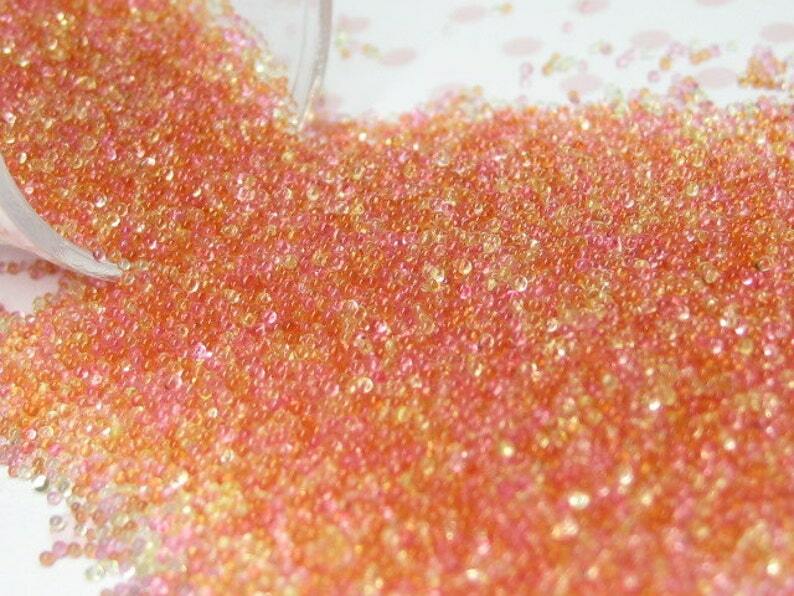 These sparkling microbeads with mixed summer fruity colors remind me of tropical punch! Tiny micro beads have an average size of .5mm - .7mm. FREE reusable 1inch / 25mm container with snap top lid to avoid spillage. You will receive a full half ounce aka 14 grams of these translucent yummy looking no-hole beads. Approximately 2 teaspoons by volume. Perfect for lots of crafting applications from scrapbooks and homemade cards to sprinkles for your miniature sweets, or great for nail caviar manicure! Always a fabulous transaction and fast shipping! Happy Holidays! Beautiful and very useful. Thank you for applying discount. I appreciate it very much.